We’re generally builders’ tea types here at Mini Moderns HQ. But just occasionally we fancy something a bit more special. 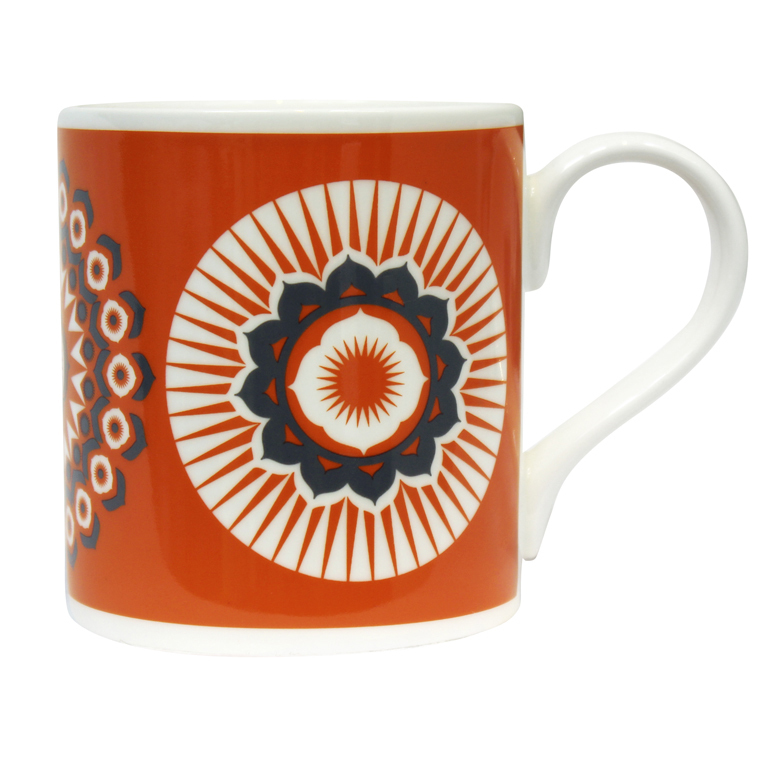 Our new Darjeeling bone china mug and linen union tea towel fit the bill perfectly. 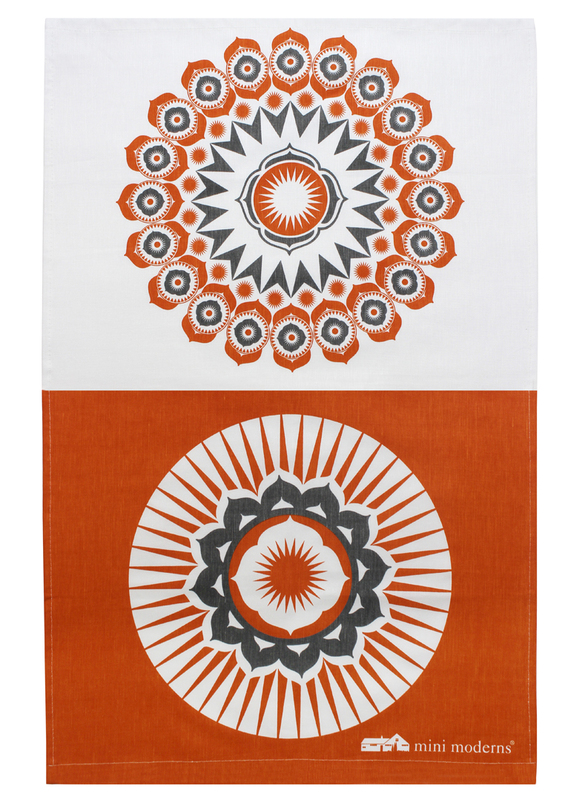 Printed in coordinating Tangerine Dream and grey, hero colours of our new Buddha of Suburbia collection, they have a 70s colour punch and a fabulously modern ethnic feel.